The L’Oréal Paris Carbon Black Volume Building Mascara is a classic voluminous mascara, giving you the breathtaking lashes of your dreams. It has a beautiful, boldly dramatic black mascara hue. The drama is unstoppable as well, since the product is mostly smudge and water proof. The L’Oréal Paris carbon black volume building mascara is usable on sensitive eyes. The product has been tested by ophthalmologists to ensure that it is perfectly safe for even the most sensitive eyes. L’Oréal Paris made the product fragrance free to help keep sensitive eyes comfortable while wearing the product. The mascara is perfect for anyone who wants volume, has sensitive eyes, or wears contact lenses. The L’Oréal Paris mascara is sold for only $5.69. Anyone who wants an affordable mascara would also like this product. CoverGirl LashBlast Volume Mascara has the ability to give you ten times the eyelash volume, compared to your “naked” eyelashes. The design of the CoverGirl LashBlast Mascara wand is especially enhanced to increase volume. The wand has thick bristles on it to help apply mascara product onto every eyelash while spreading them out for more drama. The mascara has a hypo-allergenic formula that will make having long lashes more comfortable for the allergy sufferer. The dramatic look of the CoverGirl LashBlast Volume Mascara has amazing long lasting capabilities. It does not smear and is mostly waterproof. This means you should be able to wear them all day long. Even if you break into impromptu tears from crying, allergies, or just from leaky eyes, your mascara will stay relatively in place. The Covergirl LashBlast Volume Mascara is a reasonably priced product. The retail price on the mascara is only $5.39. The product is far less in cost than many other mascara products. Maybelline New York Great Lash Black Mascara is an extremely inexpensive option for big, bold, and beautiful eyelashes. The mascara is sold for only $2.99. Despite the inexpensive price tag it has some really strong volume power behind it. The Maybelline New York Great Lash Black Mascara is highly rated by most of those who use it. It is a go to mascara for many beauty product enthusiasts. The mascara wand for the Maybelline New York Great Lash black mascara is made with big bristles to amp up the eyelashes to their full power. The mascara wand is capable of gently applying buildable layers of mascara onto the eyelashes too. The Rimmel Scandaleyes Extreme Mascara has a unique design for its applicator wand. The special mascara wand has dual sided capabilities. The curved side of the Rimmel Scandaleyes wand volumizes the eyelashes boldly. The flat side of the Rimmel Scandaleyes wand lengthens and helps the eyelashes avoid smudging or clumping. The Rimmel Scandaleyes Extreme mascara is an affordable mascara. The mascara retails for $3.59. Don’t let the inexpensive cost fool you. The Rimmel Scandaleyes Extreme Mascara is still a powerful product for volumizing and lengthening lashes. The It’s So Big Volumizing Mascara by Elizabeth Mott has a special applicator that will get your eyelash game on point. The wand has an hourglass shape that helps to curl and shape your eyelashes for a volumized and lengthened appearance. The applicator also protects from smudging while you apply your mascara. The It’s So BIG Volumizing mascara is cruelty free, so it is fit for vegans and those concerned about animal cruelty regarding their beauty products. PETA has certified that the company is cruelty free. The It’s So BIG Mascara is sold for $15. The company offers a full money back guarantee if you are not completely satisfied with the mascara. They are that confident that you will be impressed by their product. Each of these five mascaras have the ability to define your eyelashes to the levels you so desire. The L’Oréal Paris Carbon Black Volume Mascara is for those who like classic volume for their eyelashes. CoverGirl LashBlast Volume Mascara is for anyone who wants heavily volumized lashes. The Maybelline New York Great Lash Mascara is perfect for anyone who wants to have long flutter lashes that are buildable. Rimmel Scandaleyes Extreme Mascara gives eyelashes bold volume. It’s So BIG Volumizing Mascara by Elizabeth Mott has the volume you want with the ability to add curl to your lashes. All of these top five lengthening, volumizing, and curling mascaras are available from almost everywhere that sells top beauty products. You should be able to find all of these five top mascaras at your local beauty retailers, drug stores, Amazon, and on each of the makeup brand’s official online web stores. L’Oréal Voluminous Lash Paradise Mascara comes in a highly pigmented formula with a unique wavy brush. This combination adds volume as it lengthens the lashes. The full brush catches every lash, leaving a consistent coat with the first swipe. The resulting look is dramatic and feathery. This mascara makes you look like your natural lashes are simply stunning. It doesn’t give you an overdone, artificial look. Some people find this to be the perfect mascara for a fresh, natural face. Curl your lashes before you apply the mascara for maximum curl. At $9.99, it isn’t the cheapest mascara option in the drugstore. However, it’s less expensive than many department store brands. Plus, it consistently delivers beautiful results, making the price worth it. Lancôme Monsieur Big Mascara produces big, bold lashes. You don’t have to go over your lashes with several coats. One application coats every lash with flexible waxes and polymers that never get stiff. Ninety-five percent of women say that this mascara is comfortable for all-day wear. 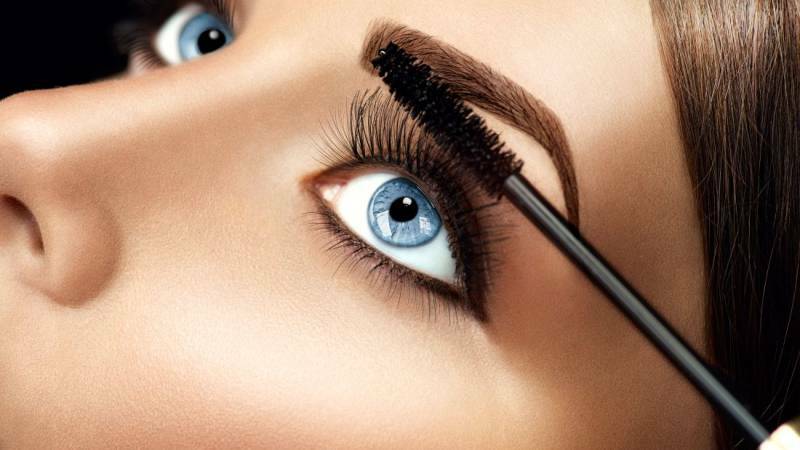 To make your eyes look even bigger, curl your lashes before applying the mascara. This is the ideal mascara for those who are looking for cosmetics that will last all night. It won’t budge until you take it off. Removal is easy with a waterproof makeup remover. At $25, Lancôme Monsieur Big Mascara makes good on its promises. It provides dramatic flirty fringe that doesn’t flake.